Keep a grip on the barbell and the pull-up bar. 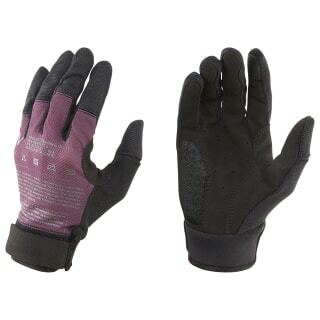 These women's gloves are made of moisture-wicking fabric to move sweat away from hands. The perforated palms provide ventilation, and inserts in high-abrasion areas stand up to punishing workouts.